How Many Days Will It Take to Paint My House Exterior? 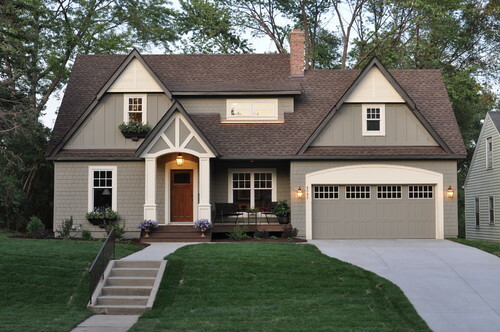 If you feel like your house is looking dirty, outmoded, or you are tired of the paint color you have, repainting your house exterior is an exciting option. You might be wondering, though, how big of a project you are getting into. Well, it depends on whether or not you are trying to do it yourself; if you hire a painting contractor, then the only time you'll put in is to choose a paint color! Cleaning involves removing any pollen, mildew, dirt, and any loose paint, by pressure washing. This usually only takes a few hours, but it will need to dry afterward. On a house with wood siding, the drying may take a day or more. The amount of time it takes to prepare a house to be painted varies a lot. For an average house you should plan a full day for protection of non-painted items, priming, and surface preparation. However, if the wood or previous paint has deteriorated, it could take a lot longer. Paint needs to be applied carefully for it to look good and last a long time. Nevertheless, if there is a skilled house painter working under normal circumstances, a house shouldn’t take more than 2 or 3 days to paint. Finally, there will be a little bit of time to clean up painting supplies, remove tape, and so on. The paint job on your house, if done well and with high-quality paints, will last anywhere from five to eight years. This can, of course, vary based on the condition of the house and other environmental factors. If you are looking for an expert exterior painting contractor in the DC area, Williams Professional Painting is happy to help you. We provide a wide range of services including interior painting, exterior painting, popcorn ceiling removal, and many others. You can call us today or click here to schedule an estimate now!